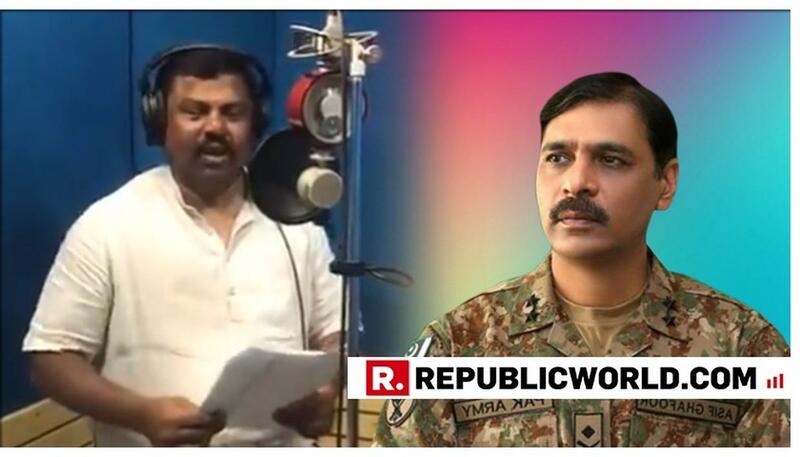 The Pakistani Army on Sunday, April 14 asked India to emulate Pakistan in speaking "truth" as it mocked an Indian legislator, claiming that the politician has copied its anthem and dedicated it to the Indian armed forces. Thakur Raja Singh Lodh, a BJP member of the Telangana legislative assembly representing the Goshamahal constituency in Hyderabad, had tweeted, "My new song which will be released on 14th April at 11:45 AM on the occasion of #SriRamNavami is dedicated to our #IndianArmy forces." However, as Lodh shared a snippet of the song on social media, the Pakistani Army claimed that the composition was a copy of a song released by its media wing on March 23 for Pakistan Day. The song was written by Sahir Ali Bagga. The relationship between the two neighbouring countries have further soured in the recent months after a suicide bomber of Pakistan-based Jaish-e-Mohammed (JeM) terror group killed 40 CRPF personnel in Jammu and Kashmir's Pulwama district on February 14.